The 502HD ball base head features Manfrotto&apos;s patented bridging technology that protects the pan friction control from knocks and allows it to easily be set. Payload is 12.2 lb, and counterbalance supports up to 8.8 lb. The head includes a 504PLONG quick release plate and a pan bar. The quick release plate is slide-adjustable 3.27" and is secured against sliding off by a secondary safety system. Pan and tilt drag are continuously adjustable from 0 to the max level. The tilt range is -80° to +90° from front to back. 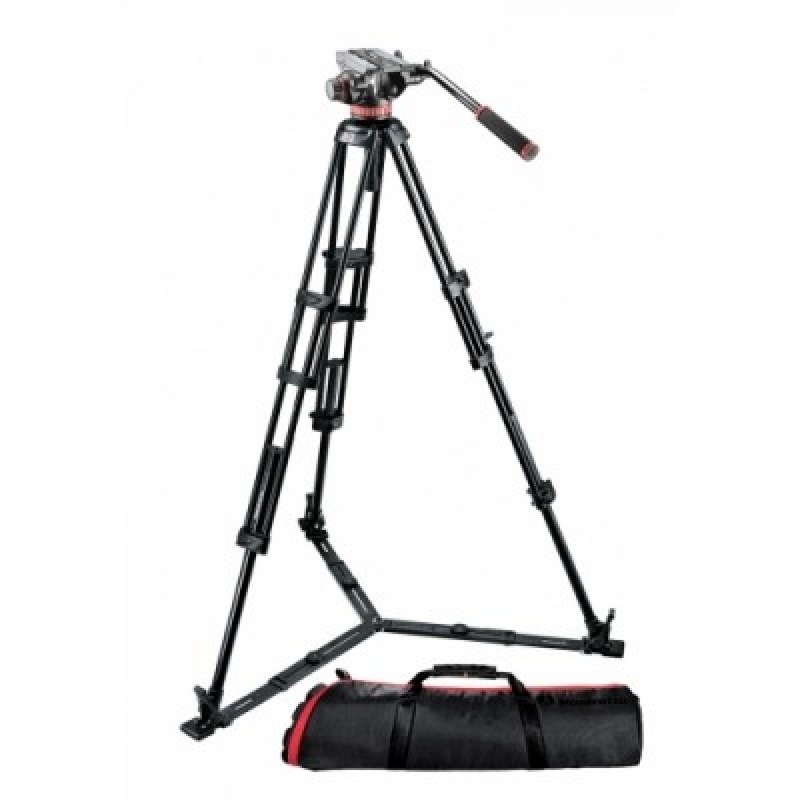 The 546GB is a 2-stage/3-section tripod that extends to 62.4". It features spiked feet with rubber overshoes, allowing setups on both smooth and uneven surfaces, and it includes a telescopic ground-level spreader that keeps the legs exactly where you need them. Quick release plate is slide-adjustable 3.27"
Extends in two stages from 12.8" to 62.4"